4. Doing collaborative work – organizing people into power to achieve progress. All our courses are offered in a lab setting that provides an experiential learning environment. The participants are involved in exercises and simulations designed to create the urgency and ambiguity that frequently accompanies real-life leadership challenges. At the end of each topic, the participants analyze the decisions and behaviors that they and their team members exhibited in order to build greater self and group awareness. 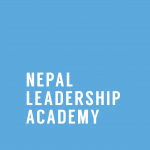 Since there is no precise “rule of thumb” for changing people’s mindsets, NLA’s endeavors are largely based on experimentation—the courses are revised regularly, as even the most subtle learnings from over half a decade are implemented. As such, the courses’ structures adapt as they move forward. Theoretical understandings garnered from around the world have been continually examined and applied in the backdrop of the Nepali context.